"Creating Memories With Beautiful Jewelry®️"
1) Contact Us To Share Your Idea's. Please send us detailed information about what you are wanting to build. Images and or videos are a huge help :-) We can make just about anything you want with our sophisticated CAD program. We also work in all precious metal types and colors. 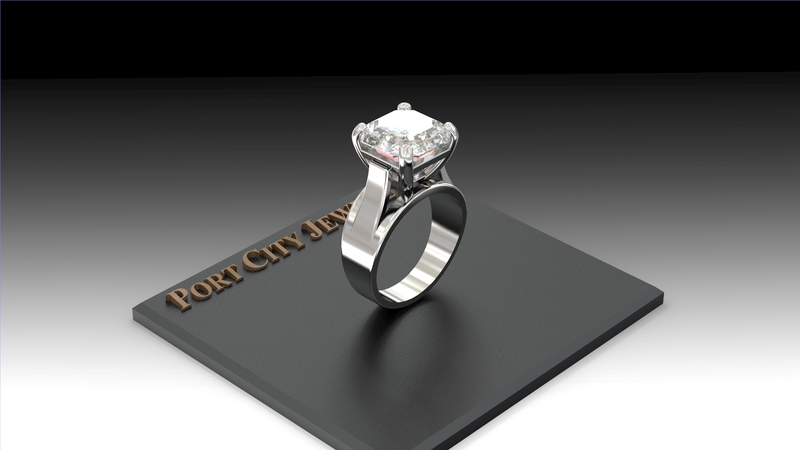 Port City Jewelers also takes part in your new custom design piece from beginning to end. 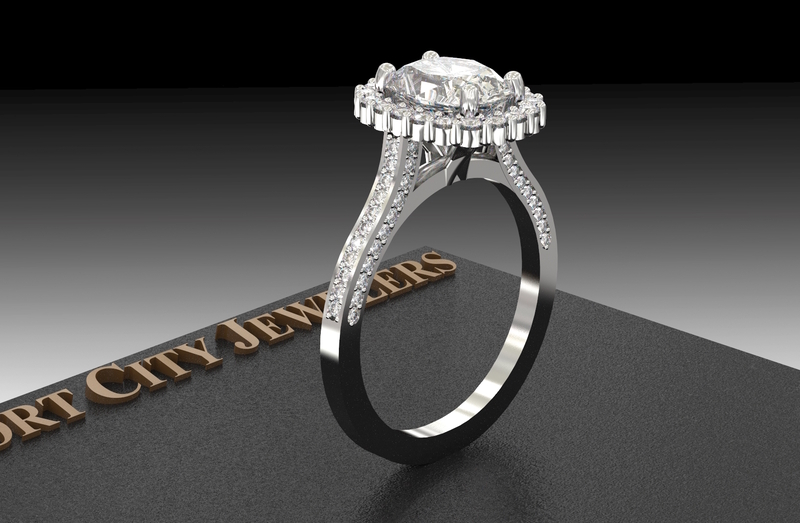 Port City Jewelers does not out source any steps in the custom design process to other companies like some of our competition does. Click the button below to inquire and request a FREE QUOTE! 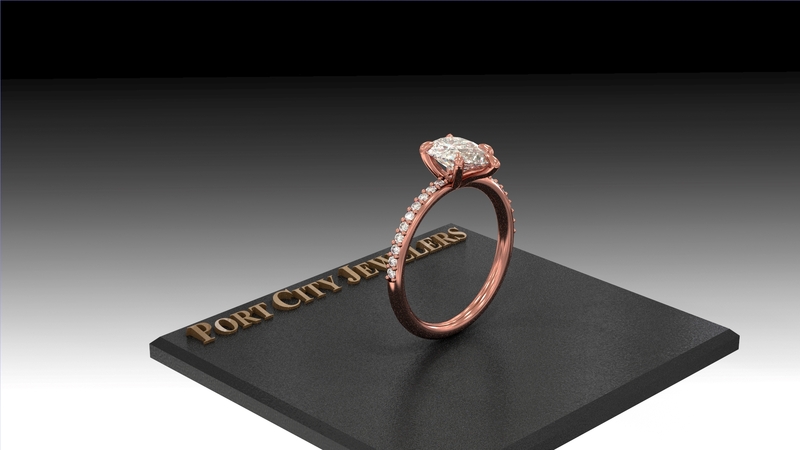 2) Port City Jewelers will then go to work and send you a quote VIA Email based around our conversations or emails. We have some of the best prices around too, so we can definitely work within your budget! We have made 100's of designs this past year for our beautiful customers! Just take a look at our Instagram Feed to see all the beautiful creations we built this year! Give us a follow and turn on those post notifications as well to stay up to date with all our current builds! 3) After your approval of the quote, we will then send you an Invoice VIA PayPal to make the payment. If you do not have a PayPal account it is not a problem. You can pay the invoice without having a PayPal account. There is a link that says "Pay With Your Own Credit Card." PayPal just handles the transaction for us. 2) After Completed Payment, we then go to work and create your unique design using CAD (computer imaging) based off your (the customer's) idea's! All our CAD designs are done in house by our master craftsman with over 35 years of experience! We also can make as many revisions as you would like to nail down your perfect ring! 3) Once we create your beautiful new design we will send you VIA email the CAD Images for your approval. Once you reply back VIA Email with your approval we will then start production on your beautiful new piece. Below are some examples of the behind the scenes CAD design, CAD Rendered Images and what you can expect to receive from us. Port City Jewelers is one of very few jewelry designers anywhere to use computer modeling in house. 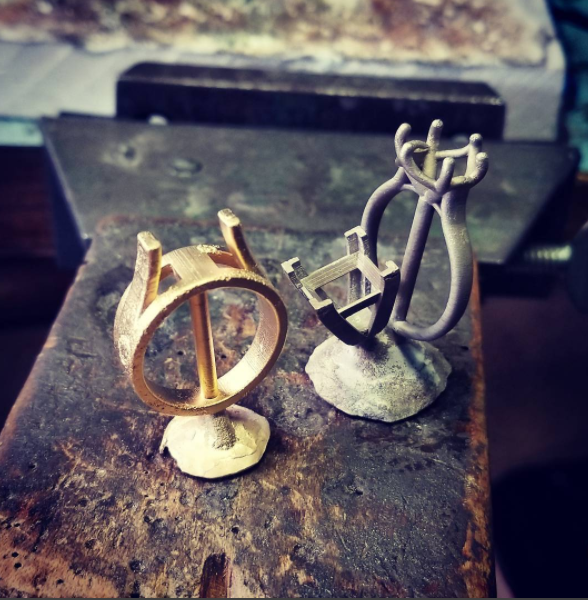 Your jewelry is created with a sophisticated 3-D modeling program called Rhino Gold and a lifelike render (image) is created and emailed to you. If you want to make some changes, we do that right in the program. 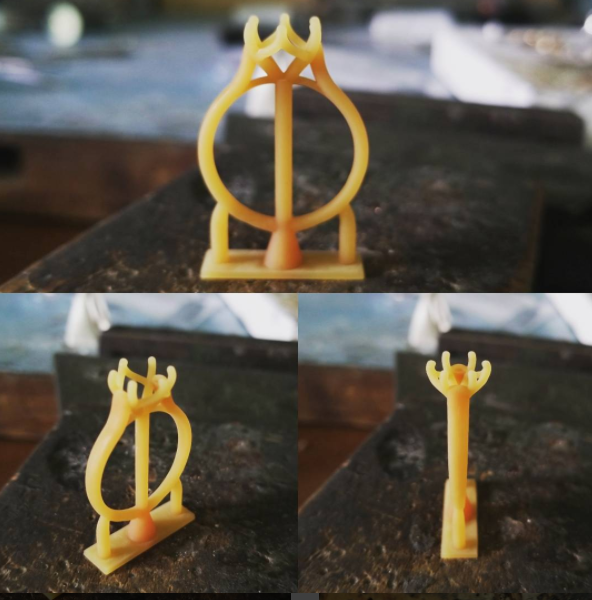 When the design is perfect, a precise wax model is printed on our state of the art 3D printer. 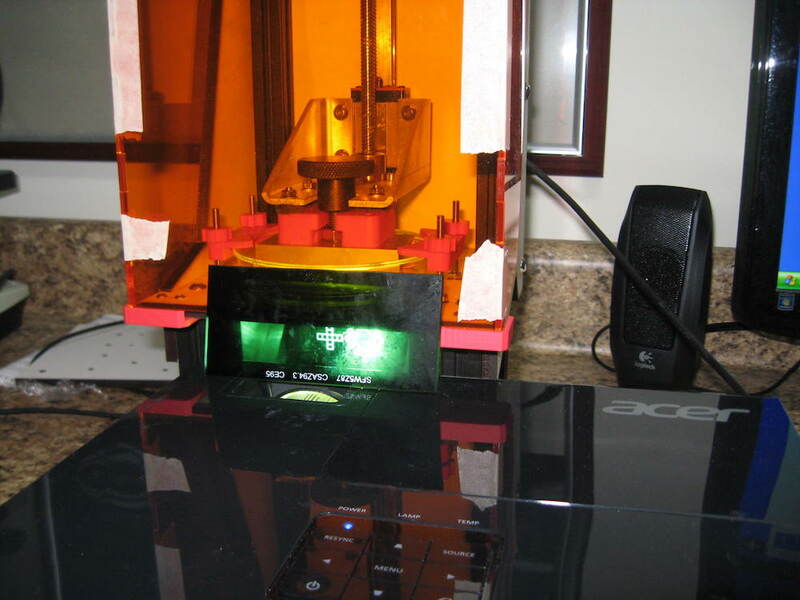 The CAD Design is sent to our 3D Printer where it is printed based off all the specifications previously discussed in your final design consultation. To cast your jewelry we first put the 3D printed wax into a stainless cylinder and fill it with a special plaster. It goes into the kiln overnight, melting the wax out of the cylinder and leaving a perfect negative impression of your jewelry. Then we put the cylinder into our casting equipment, light the torch, melt the metal to shoot it into the mold! It's a dramatic and fun process to watch. Next, your jewelry has an initial polishing, gems and diamonds are set, pieces are assembled, and a second polish is given before final inspection. We want it to be perfect! It's quite a process and one that we take very seriously. Every step and detail is so important and we want to give you the perfect piece!